【明報專訊】I've got off to a flying start in 2017. My album Breeze Out (《風起》) topped the HK Records sales chart in the first week of its release. I am very grateful to everyone for supporting my CD effort. 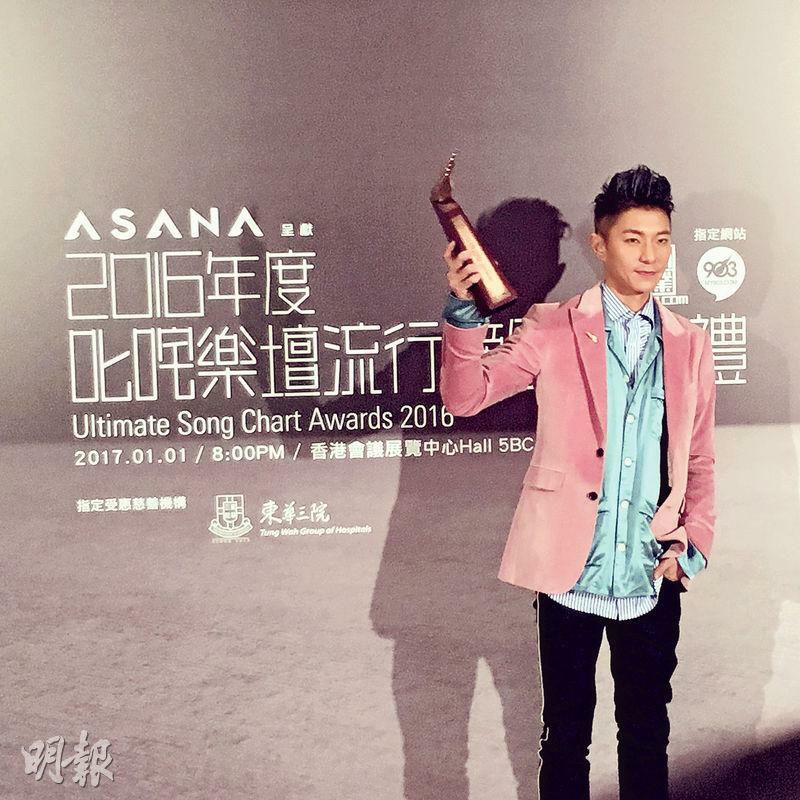 Moreover, I got a bronze singer-songwriter award at Commercial Radio's Ultimate Song Chart Awards Presentation 2016. That achievement has boosted my confidence in making music in 2017. Besides, I finally finished my shots in 3 × 1 (《三一如三》), a ViuTV drama, in the beginning of this month. It was a very good experience to act in a drama. I miss the crew so much.